That was good Garth, but this will always be my favorite! 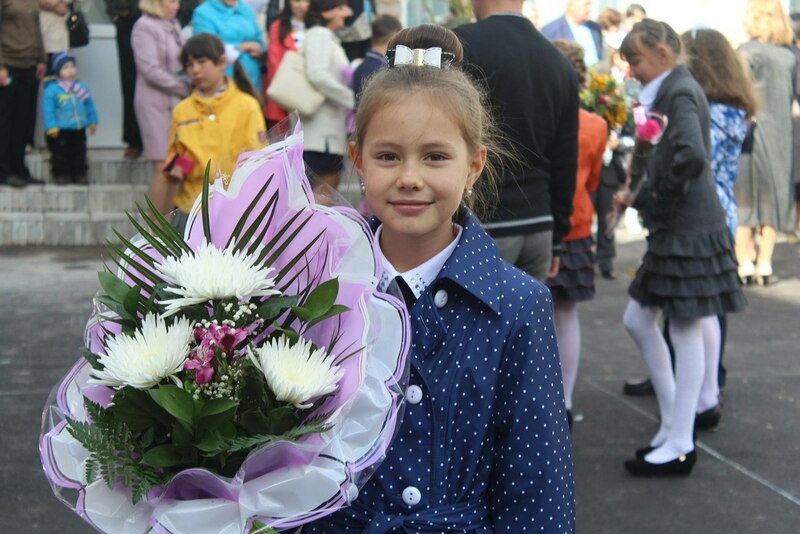 Maria is currently involved in the competition "The Battle of Talents". As usual I have difficulty working out what's going on as she has sung a couple of solo songs and gained favour with the judges and now it's some sort of "battle round" as she competes with another girl. Masha wins and goes on to the next step which is ? We've been waiting for this for months! This is the most important moment of our battle - the name of the winner is named! In truth, exciting and unexpected turned superfinal! It's hard to make a choice between two incredible girls. 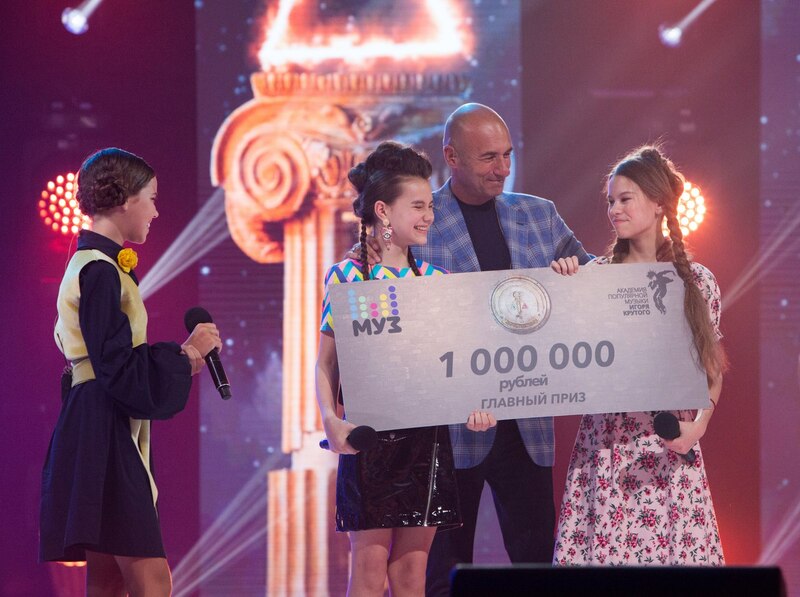 That is why the jury decided - Milan Pavlov and Masha Mirov - WINNERS of the largest television project "The Battle of Talents"
Moreover, the chairman of the jury of "Battle" Igor Krutoy decided to double the prize and 1 million for further promotion was given to each of the winners! This is the video of the final of The Battle of Talents. Maria sings at 20.40 and 1.04.18. 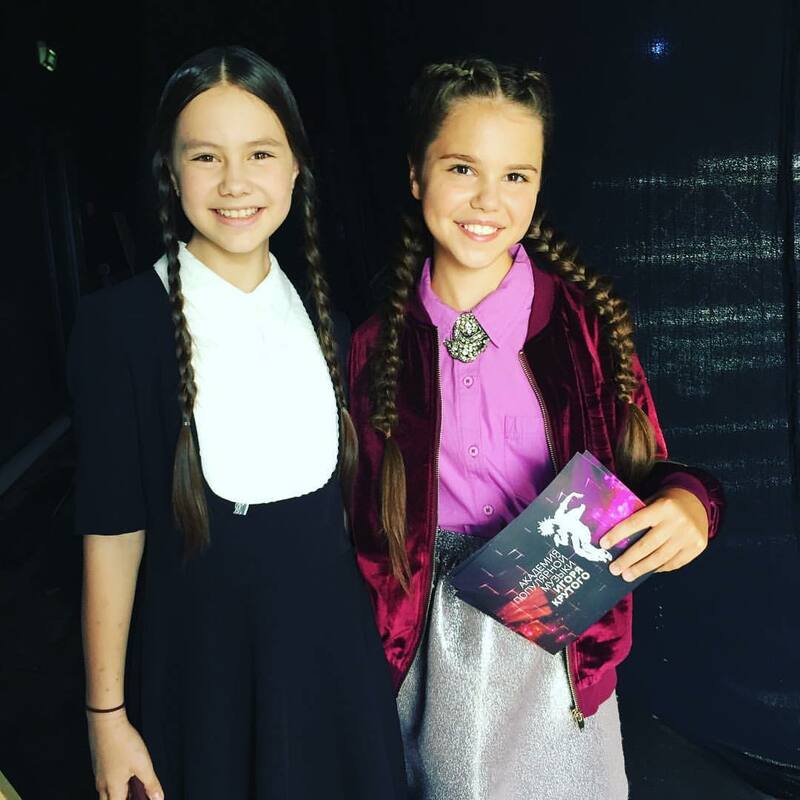 The girl she shares the win with is Milana Pavlova who you might remember from last year's Voice Kids when she spat the dummy after getting eliminated. Instead of hugging the mentors she just walked off and got a lot of grief from commenters on you tube. Milana sang her songs very well but I think Maria sang the type of songs people wanted to hear and she was great. You should recognise the girl co presenter. From Maria's VK fans' page. 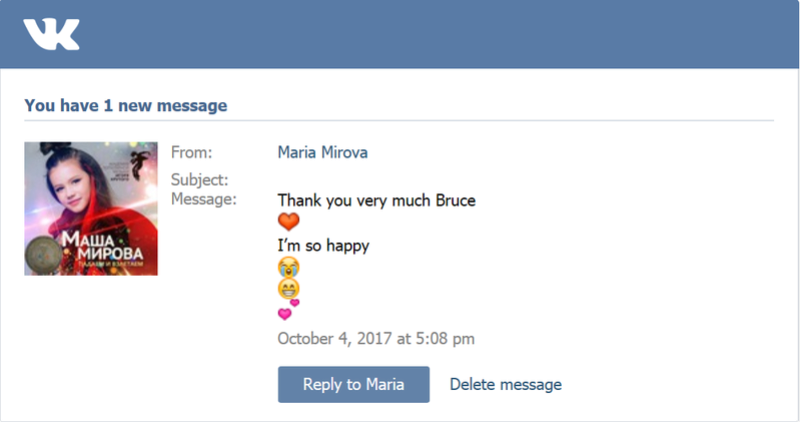 "The million that Masha won at the Battle of Talents, she wants to invest to buy a song for the Junior Eurovision Song Contest 2018 and to make a super-top clip"
A short while ago I mentioned that Maria always responded to my comments. I sent her a happy birthday message yesterday and then this came. She's on the very far end. Pause the video at the 50 second mark and you will see her. Since she is way over there, she doesn't get much air time. Maria and Katya Maneshina and Julianna Karaulova sing Snowflake Christmas song of the year 2017. 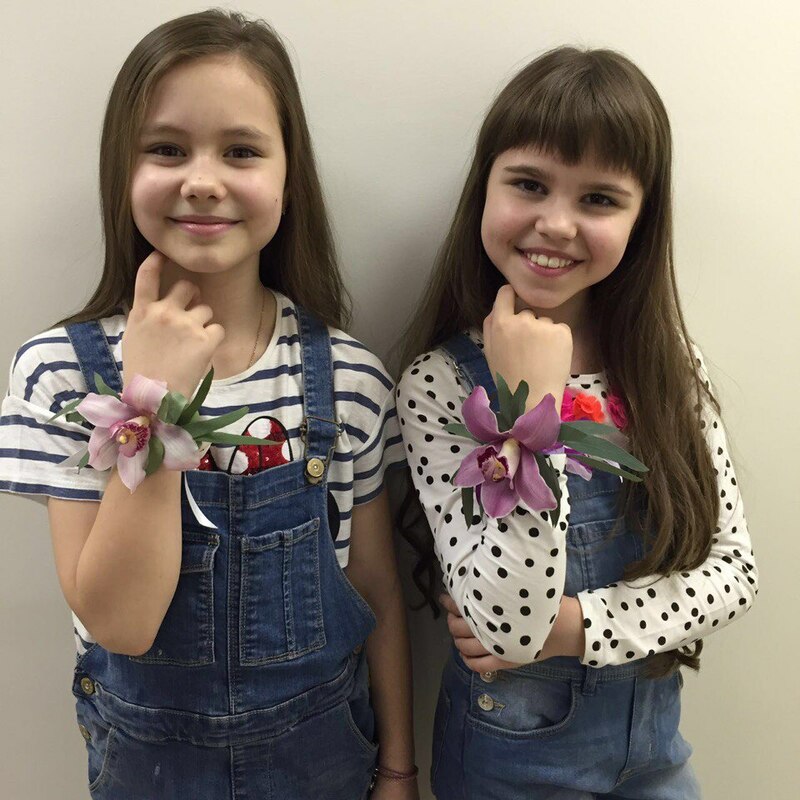 Ellis F wrote: Maria and Katya Maneshina and Julianna Karaulova sing Snowflake Christmas song of the year 2017.